Deck stains are used to protect and preserve the wood of your exterior deck. They offer UV protection, water repellence, mold and mildew resistance, etc. Deck finishes come in many different types of opacity and bases. Deck staining can be a “chore” for residential homeowners and unfortunately walking into you local store may produce some of the worst options available. Not all deck stains are created equal and there is not a perfect stain type or brand that will outperform all the others. Water-based stains have recently become the norm. The main reason for the vast amount of water-based stains on the market today is related to changes in VOC laws across the country. Many states have adopted or soon will adopt lower VOC (Volatile Organic Compounds) regulations. This has prompted stain manufacturers to increase production of water-soluble decking stains. Pros: Water cleanup, less chance of mold or mildew growth and they are environmentally friendly. Cons: Do not penetrate as deeply as an oil-base stain. Slightly harder to apply as they dry quicker. Can be prone to peeling and wearing. Oil based decking stains have been around for 20-30 years. They are typically made up of natural and synthetic oils. Many contain oils such as: Linseed Oil, Paraffin Oil, Tung Oil, Rosewood Oil, Etc. Pros: Excellent penetration into wood. An oil molecule is smaller in size then a water molecule. Better a deck stain can penetrate, the better the performance. Easier to apply. More natural looking. Cons: Stronger odors, longer drying and curing time. Some oils can promote the growth of mildew. Some oil-based stains will darken in color over time. Solid deck stains look like paints. They cover the wood so you will not see the wood grain anymore. Once you apply a solid decking stain there is little chance you will ever be able to go back to a transparent stain. Solid stains come in both oil and water based versions. Cons: Films on top of the wood and do not penetrate well. Prone to peeling. Looks like a paint. Harder to apply. Cannot be removed with a deck stain stripper effectively. The Semi-Solid Deck Stain will only show a small amount of wood grain as they contain a high amount of pigment. They are offered by a limited amount of manufacturers. Semi-solids can be both water-based and oil-based. Cons: Only a small amount of wood grain will show. Oil-based semi-solid versions will penetrate and perform much better the water-based versions. Semi-transparent stains contain pigment that highlights the natural grain while sealing the surface. The semi-transparent wood and deck stain is most popular. Both water and oil-based are available. Pros: Average to better then average UV protection. Shows natural grain. Very good penetration. In most scenarios can be cleaned and re-coated easily. Can be removed with a deck stain stripper. Cons: Most water-based versions perform poorly compared to the oils. Many states with the Low VOC laws have a limited amount of quality oil based stains available. May need to buy online if in a Low VOC area. Transparent deck coatings look the most natural as they contain minimal pigment. Average life of a transparent decking stain is about 1 year. Mostly oil-based only are available. Pros: Very easy to apply and reapply as needed. Natural looking. Cons: Below average UV protection. Typically need to be re-coated annually. Clear Deck Finishes offer little to no UV protection and will gray quickly. Typically used as sealers. Pros: Does not change the appearance. Extremely easy to apply. Cons: Grays and oxidizes in months. There are currently 17 States that restrict Decking Stains and Coatings. These states require a lower amount of Volatile Organic Compounds to be released into the air. This mainly affects oil-based coatings. By lowering the amount of “solvents” that can evaporate into the ozone you need to increase the amount of “solids”. This can cause issues with oil-based stains as they may have drying and curing problems. There are still a few good oil-based stains available in Low VOC States but not as readily available at your local stores. You may need to go on the Internet to find them and have them shipped. A couple of examples would be TWP 1500 Series and Armstrong Clark Wood Stains. California, Connecticut, Rhode Island, Maine, Massachusetts, New Hampshire, Vermont, Delaware, District of Columbia, Maryland, New Jersey, New York, Northern VA, Pennsylvania, Arizona, Ohio, Illinois, Indiana. How Often Should You Refinish A Wood Deck? 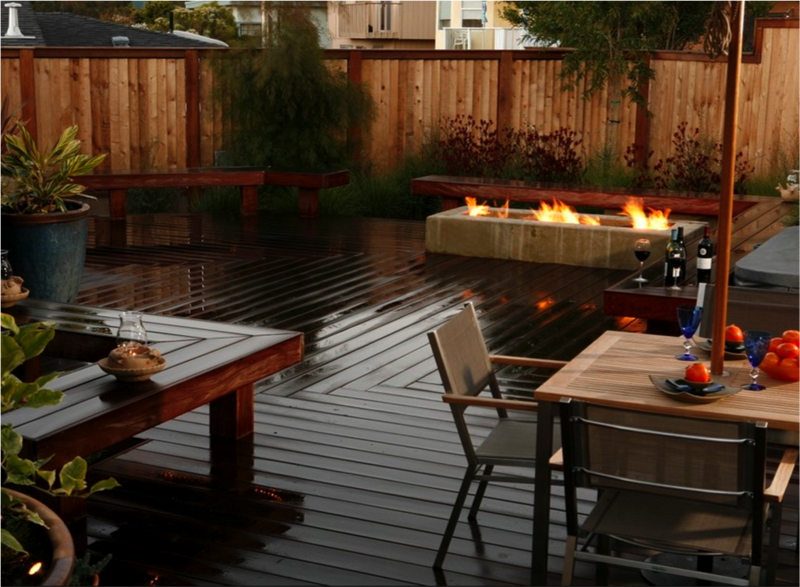 A deck is a great way to expand your living space outdoors. 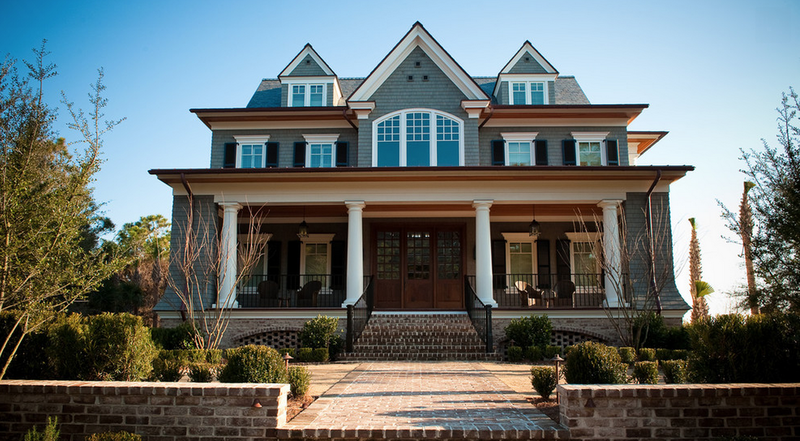 Keeping the finish in good condition not only ensures its beauty, but it can also extend the life of the structure. Over time, various natural elements such as the sun, rain, and fluctuating temperatures can cause your deck finish to deteriorate, and the boards and structure to warp, cup, splinter and crack. Most wood decks should be resealed every 3-4 years. To determine if your wood deck needs to be refinished, simply sprinkle some water and wait to see if it is absorbed quickly or beads. If absorbed, it’s time to refinish. If it beads, perform another status check in 6 months. The benefits of refinishing your deck are tremendous. Refinishing your deck means that you will apply a protective layer of sealant to the wood. This will ensure that moisture does not penetrate into the grain of the wood or the cracks. The sealant will help prevent the formation of mildew and cracks or warping. Additionally, refinishing the deck will help to restore the color of the wood in areas where it has faded. Moreover, re-staining the wood will help bring out the grain/color and ensure that your deck looks great. 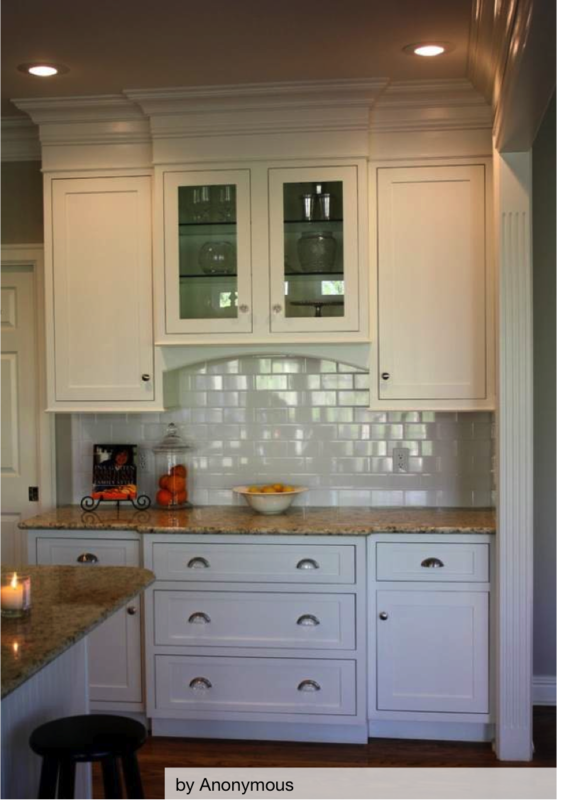 Add interest and architectural detail to your space with crown molding.